In this millennium, the AFC East has sent multiple teams to the playoffs in the same season in back to back years just once. 2009 and 2010 is the only time this happened, with the Jets and Patriots heading to the postseason both years. The point? Over the last 16 years, the Patriots have only missed the dance twice (’02 and ’08) and the Dolphins, Bills and Jets have stunk. But this year, that changes. 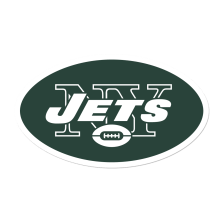 Key Additions – Jamal Adams? You would think this is fun. You would think as the “Resident Patriots Fan” I would revel in the disaster that is the New York Jets. But I just find it annoying. Annoying I wasted two minutes trying to find a key addition for this team. And who did I settle on? Jamal “bleeping” Adams, a pick I hated. You win at the skill positions, QB, WR, CB, OLB, DE, and the Jets go safety-safety to start the draft. This isn’t fun, it’s pathetic. Get it together New York. Bleh. That pretty much sums up my feelings on the Bills offseason. Certainly not the ghastly couple of months that the team is having some 300 hundred miles southeast, but not good either. I’d give the Bills a B in the draft this year, and I really like the Tre’Davious White and Zay Jones picks. But losing Gillislee and Gilmore to divisional foe and “school bully” Patriots is a big negative…”the rich get richer” and all that. Then there was the whole Doug Whaley business. I know, I know, he had very little influence at the end. But, letting a GM you are about to fire to sit in on an entire draft before relieving him stinks of dysfunction. Yes, you read that right, 12-4 for the 2017 Dolphins. They may be the most formidable opponent in the AFC East since Brady took over. The defense may be a notch below the 2009-2011 Rex Ryan Jets, but the offense is leaps and bounds better than that Mark Sanchez led unit. They added grit and play-making to their defense with Timmons, Harris and Tankersley. They padded the interior and trenches of both lines, also retaining Alonso on defense and Stills on offense. 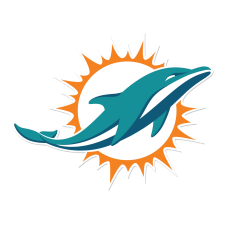 Devante Parker will make a large year three leap, and Tannehill will benefit from another year in Gase’s system (my favorite young head coach in the league). Add Julius Thomas into the mix where he can be a 4th option like when he thrived in Denver (an Adam Gase offense), and this team is tough, explosive and dangerous. And much to the delight of the old group of codgers, the 1972 Dolphins, they will be the one team to hand the Patriots a loss this season. It’s not a home town bias, this team loaded up. They won 2 out of 3 Super Bowls, then doubled down. While I believe they had an underrated draft, the true victory was via trades and free agents. Belichick managed to retain all key players from last years title run save for Bennett, who is replaced by a returning Gronkowski and the newly acquired Dwayne Allen. Malcolm Mitchell has another year to develop, Hogan has his second year in the system, and they add Cooks with Edelman and Amendola. They add Burkhead and Gillislee to White and Lewis in the backfield, and kept intact a good offensive line. 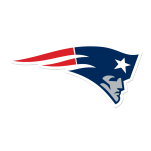 On defense, Trey Flowers get’s another year to grow and flourish (See Super Bowl 51), Ealy is a high upside move, they retained Hightower and sat Harris next to him, and added Gilmore next to Butler. Front to back, loaded. They will stumble in Miami in December, but then will run the table through February. Brady win’s his sixth, opts to ride into the sunset, and it’s time to see what Jimmy is made of starting next year.